Walking the off-beaten path: NOT an April Fool's Joke! 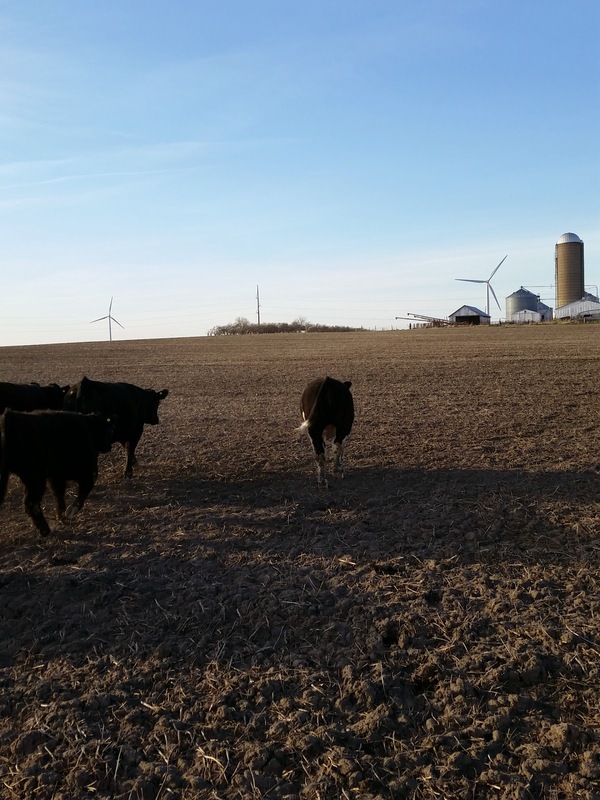 Tonight, while Tall Guy was several miles away (like 20 in the tractor bringing the disk home), we got a call from Miss Amy, our neighbor a mile south, that the cows were out! I grabbed Bear and the Gator, and headed down the road and south. There they were about 3/4 of a mile south of the house. I kept looking for the rest of the herd, but I could only see five.....then it dawned on me, "OH!!! They are the 4-H calves!" I sent Bear back to the house to get Tink, and I took off at an alarming speed to "head them off at the pass" or before they got to the next road. 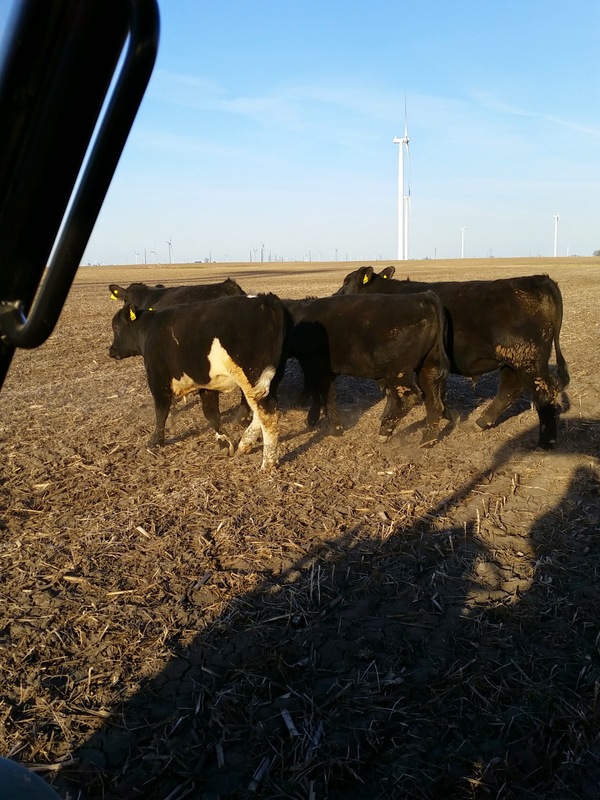 My, uhm, well, you know, my "girls" were quite a bit jostled in the whole business, but at least I was going through a bean field rather than a corn field. 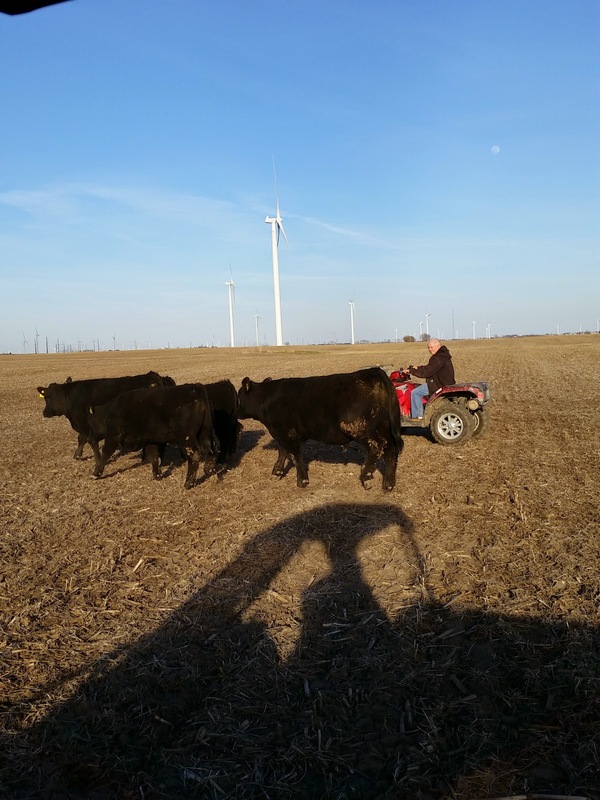 I got around the calves and started driving in front of them, hoping they would follow me. They did for a while, but then I apparently wasn't entertaining enough for them so they chose another direction. Just then the cavalry showed up in the form of our neighbor, Mr. Mike, on his 4-Wheeler! We would have made pretty good cow pokes. It took a bit, but we got them up to the feed lot where Mr. Scott, one of my husband's cousins, had opened the fence. 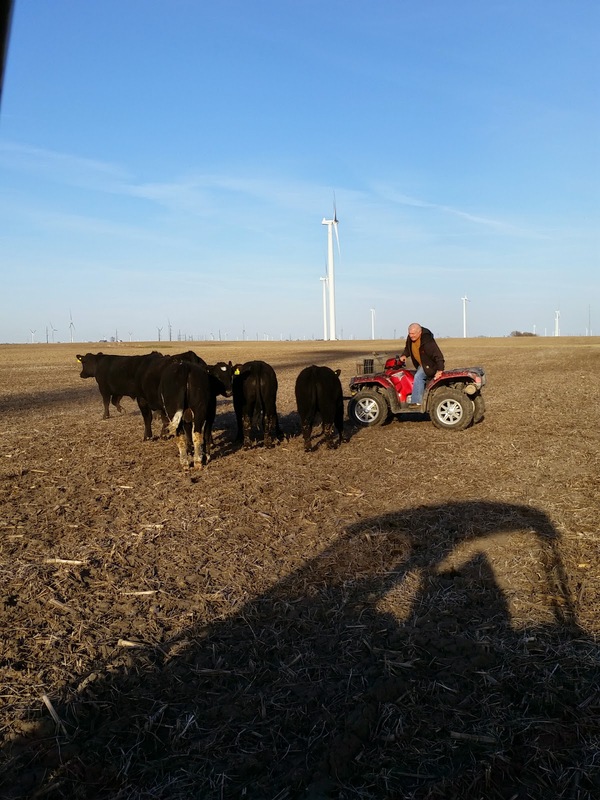 With his help and the help of the girls, we finally guided them through the feed lot and back in the tool shed with the gates CLOSED and LOCKED! A Big THANK YOU to Miss Amy for sounding the alarm and Mr. Mike and Mr. Scott for coming to our rescue. Country neighbors are the BEST!!! Now you would think that my next post would be back to the ground working story, but this little exercise reminded me that I haven't shared another similar event with you. Keep your boots on and your ropes ready for the next installment. Yee Haw! Good neighbors are always at your beck and call and moooo! Posts like these are important, too. 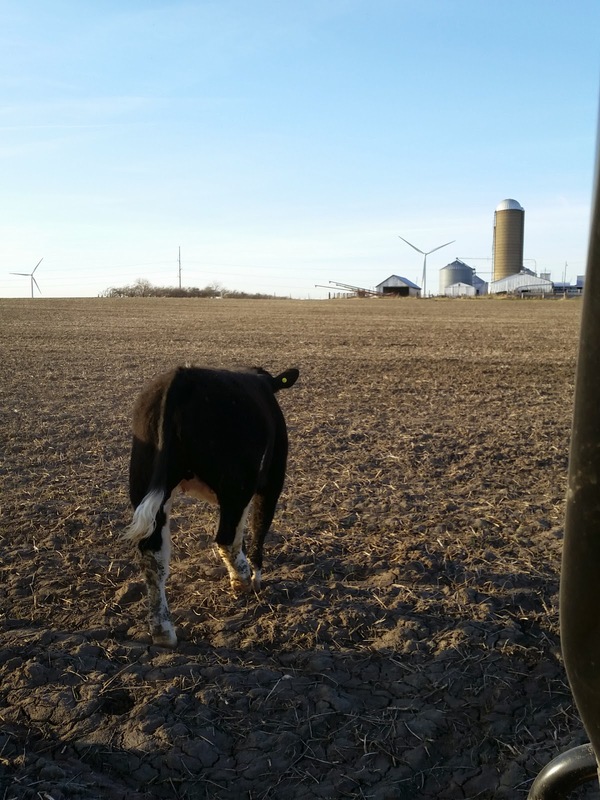 Then when you are looking back at your blog, you can reminisce and say, "Remember when the cows got out....again?" Growing up, that always seemed to happen at the most inopportune time at our farm! Uh, I thought this was all done on horses! You know--riding through the herd swinging a lasso. Somehow a gator and a four wheeler just doesn't conjure up a romantic notion of the old (mid) west! !